The MRHS Book Club recently read, Gabi a Girl in Pieces, and met to discuss it on January 23rd. 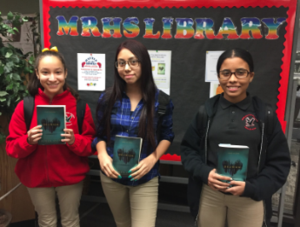 The group really liked this novel about a girl named Gabi Hernandez who shares all the drama and events that happen throughout her senior year in high school. The next club read is The Scorpio Races, a Printz Honor book by Maggie Stiefvater. The meeting will take place on February 27th. The MRHS Staff Book Club also met recently and discussed the book, A Place for Us, by Fatima Farheen Mirza. 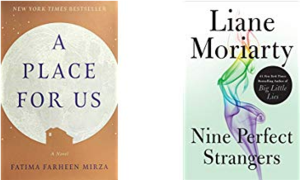 The next read is Nine Perfect Strangers by Liane Moriarity and the meeting will take place on March 20th. Please join us if you are interested!